Want to become a member? Complete the 2019 New Membership Application Form and join today. New Member- An individual who has never been an AAVLD member. Renewing Member- A current AAVLD member who is in good standing and want to renew for the upcoming year. Lapsed Member- An AAVLD member who let their membership lapsed within one year. Returning Delinquent Member- An AAVLD member who has been inactive for one or more years. If you are interested in becoming an AAVLD member select Join Now. If you are a current renewing member and want to renew online select Membership Renewal. AAVLD membership is open to any individual interested in animal disease laboratory diagnosis. Memberships run by the calendar year (January-December) and membership dues payments are due by November 15th of preceding year to ensure inclusion in the membership directory and receipt of all six issues of JVDI. Note: In order to receive an Annual Meeting registration discounted rate you are required to be a current year AAVLD Member. 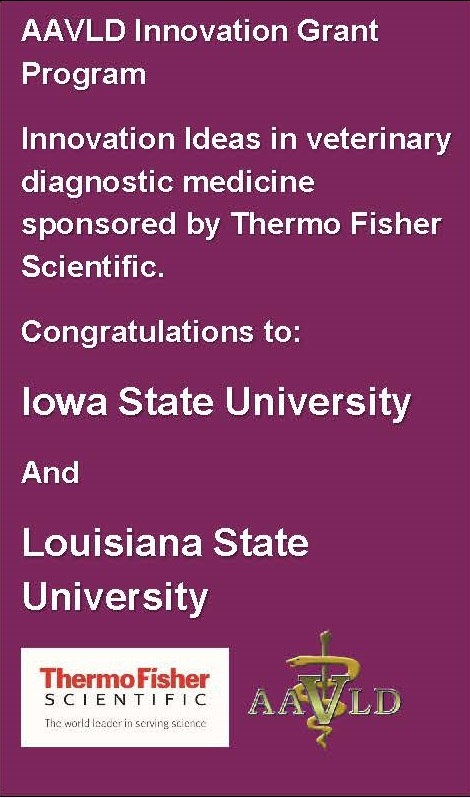 Subscription to the Journal of Veterinary Diagnostic Investigation. Discounted registration to the annual AAVLD scientific meeting held in conjunction with the United States Animal Health Association (USAHA). Membership directory of veterinary laboratory diagnosticians from 50 states, 9 Canadian provinces and 28 countries. Representation in national and international policy developments in animal health. 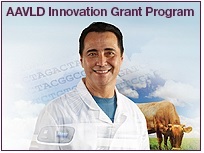 AAVLD Foundation for tax-exempt contributions for the advancement of veterinary diagnostics. Access to the AAVLD listserv, an open discussion on topics in veterinary diagnostic medicine. Graduate Student/Resident Membership is available to members concurrently pursuing residency training or graduate studies in a discipline directly related to animal disease diagnosis. Includes all the benefits of full membership. Proof of enrollment must be submitted with your membership application. Membership at this level is limited to 7 years. Limited to students in a veterinary school or in undergraduate programs considering a career in veterinary medicine. Does not have voting rights or the ability to hold office or chair a committee. Any individual who has been an active member of AAVLD for at least the past 10 years and is retired from active professional life may request Retired Membership status. Associate Membership is limited to clerical and technical staff at laboratories engaged in animal disease laboratory diagnosis. Applicants for Associate Membership must submit, along with their application or dues payment, a letter or note from the director of the organization attesting to the applicant's clerical or technical employee status. Includes all the benefits of full membership except that Associate members do not receive a subscription to the Journal of Veterinary Diagnostic Investigation and do not have the right to vote, hold an Association office or chair/co-chair a committee. Designed for state and national institutions or organizations such as colleges, departments or laboratories, and government agencies. Designed to get people who have not been individual members involved in AAVLD and experience the benefits AAVLD provides to the profession and stakeholders served. Those enrolled in this membership category cannot have been an individual AAVLD member for the last 2 years. The maximum time diagnosticians/faculty can be enrolled through this membership category is 2 years. Fees are based on lab size.